Since last decade, thyroid disorders are on the rise. This may be attributed to high level of stress contemporary lifestyle brings. Working women are especially vulnerable to stress as they have to constantly deal with work pressures as well as manage domestic duties. It is recommended that women undergo thyroid function test on regular basis to keep a tab on thyroid hormone levels. 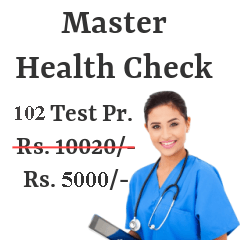 Here, is the list of diagnostic centers in Pune where thyroid function test is available. You can compare the rates and select the the hospital based on your budget and area preference. 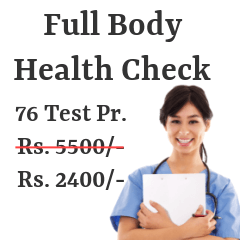 Following are the Thyroid Profile centers from most reputed pathology / radiology labs in Pune. Thyroid function test accesses the level of hormone secreted by thyroid gland which resides in lower-front part of the neck and looks like the shape of butterfly. The test evaluates the level of two hormones- Triiodothyronine (T3) and Thyroxine (T4) that are secreted by the gland. Thyroid gland can cause mood swings and hence, if you are frequently experiencing them, it is recommended that you don't delay your appointment with doctor. 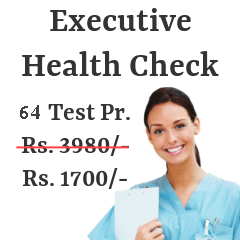 Thyroid test can be performed any time in the day. There are as such no restrictions on time or intake of food before the test. One can consume meals like one would normally do. For thyroid function test, which is a blood test, a sample of blood is drawn from vein in the arm. Sometimes, to increase blood flow to the arm, a tight elastic band is tied to upper arm. If the nurse is not able to derive required blood from one point, she might insert needle into another point. The sample of blood derived will be sent to laboratory for analysis. You can opt for doctor consultation once you receive reports. Doctor is the right person to ask for guidelines. If you are suffering from thyroid ailments, make sure that you don't starve yourself on liquid diets or crash diets. Stay away from radiation and avoid drinking water from plastic bottles. Too much of heavy intensity workouts also play havoc on your thyroid gland health. Regular checkups go a long way in preventing and diagnosing thyroid disorders.